Mutual Fund is one of the best investment options for the wealth generation. Mutual funds can even surpass the return given by model stock portfolio of stock market experts. You may be surprised to note that there are 5 mutual funds that have generated above 60% absolute return in last one year. If you could have invested any one of them you could have generated big corpus by now. For Example – One year back if you had started investing Rs 1,000 every month in SBI Small and Mid Cap Fund-Direct Plan (G), you would have seen your investment growing multi-fold by now. SBI Small and Mid Cap Fund-Direct Plan (G) have given 80% return in last one year. Now let’s take a look at Top 5 Small-Mid Cap Mutual Funds that gave up to 60% return last year. SBI Small and Mid Cap Fund-Direct Plan (G) scheme seek to generate income and long-term capital appreciation by investing in a diversified portfolio of predominantly equity and equity-related securities small & midcap companies. Subscription to this fund is temporary suspended. This fund is managed by an experienced fund manager. The expense ratio of this fund is very low. L&T Emerging Business is relatively new fund. The basic objective of this fund is to generate capital appreciation from a diversified portfolio of equity and debt. Reliance Small Cap Fund-Direct Plan (G) scheme seeks to generate income and long-term capital appreciation by investing in small-cap companies. 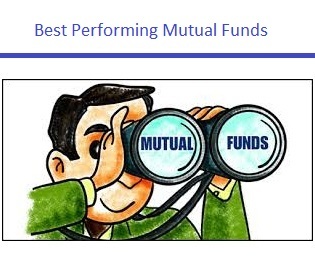 The historical performance of this mutual fund is very good. The expense ratio of this fund is very low. HDFC Small Cap Fund-Direct Plan (G) aims to provide long-term capital appreciation by investing predominantly in Small-cap and Mid-cap companies. This fund is managed by an experienced fund manager. It is a good fund for investment. IDFC Sterling Equity Fund-Direct Plan (G) invest in small-cap and mid-cap stocks. The expense ratio of this fund is very low. This fund has given very good returns to the investors in the past.